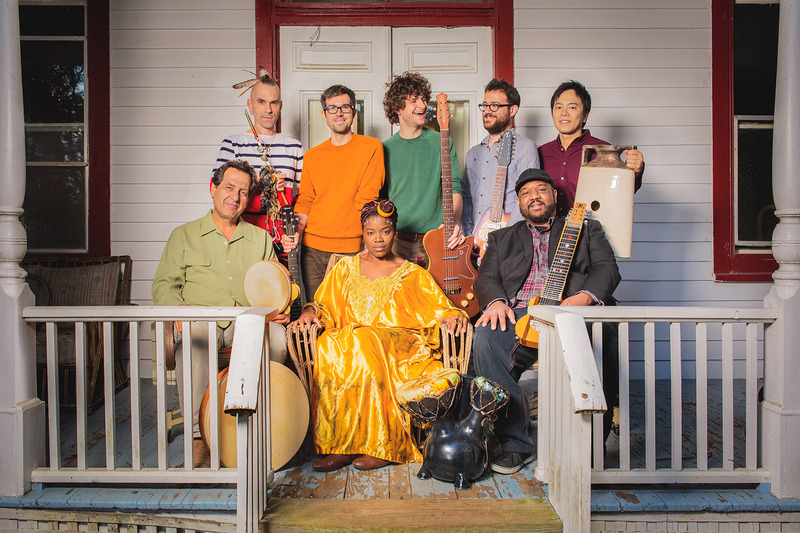 Malika Tirolien (vocals); Chris McQueen, Jordan Peters, Roosevelt Collier (guitar); Michael League (guitar, bass); Jeffrey White (bass); André Ferrari, Jamey Haddad, Keita Ogawa, Matthew Recchia (percussion). Bokanté means "exchange" in Creole, the language of Guadalupe. There's no better description of the band. It began when Michael League, bassist with Snarky Puppy, started to write songs with several band members and guests while on the road. They shared the songs with singer Malika Tirolien, who sings in Creole and French, and passed ideas about them back and forth. For many of the eight musicians, the day of the recording session in New York was the first time they met – one week later they were a tightly knit band. Apart from members of Snarky Puppy, the band includes musicians who have played with Paul Simon, Sting and Yo-Yo Ma. Their backgrounds are diverse, their ages vary widely. On the debut album Strange Circles Tirolien sings about current themes like racism, the refugee crisis and the climate. The band moves with conviction from sophisticated blues rock to folkloristic Caribbean music and back again.